"If you are looking for a skilled, professional dentist, look no further." "Very painless dental visit. I went here for a cleaning and was very pleased." "If I had to go to a dentist again, I'd definitely visit Dr. Angela Lee." "Dr. Lee is caring, thorough, and takes her time with each patient." "I have been with Dr. Lee for 5 years and couldn't imagine a more skillful dentist." Dr. Angela Lee of Lee Dental and Facial, located in New York, NY and Englewood Cliffs, NJ, is a top-ranked General Practitioner with an eye for reconstructive cosmetic dentistry. With a reputation for transformative cosmetic dentistry work, Dr. Angela Lee is sensitively attuned to the aesthetic and functional concerns of her patients in the Metropolitan area. Dr. Angela Lee couples her outstanding professional credentials and ethics with a personalized approach to patient care and a keen eye for aesthetic beauty. Dr. Lee received her degree from the prestigious College of Dental Medicine of Columbia University. However, it is not surprising for Dr. Lee to have such artistic hands! She started out as a professional violinist, graduating from The Julliard School of Music’s Pre-College division, before pursuing Dentistry. She combines her clinical background with an artistic eye to bring the highest quality of personalized care to each of her patients. Her talented work is performed according to her philosophy as a cosmetic dentist, which demands that each member of Lee Dental and Facial hold the patient’s concerns, goals and ambitions in the highest regard. In fact, she truly believes a dentist’s hands should be as delicate as a violinist’s hands. Dentistry is an art form, where oral health and facial aesthetics must be in balance. Dr. Lee is certified by the Academy of General Dentistry and the American Dental Association in both New Jersey and New York. As past faculty of Columbia University School of Dental Medicine and member of Columbia University Orchestra, Dr. Lee is dedicated to excelling her craft and ensuring the competency of professional integrity. She has furthered her training in Dental Implants through: Zimmer Institute, CA, Hiossen Institute, USA and South Korea, and Megagen Institute in South Korea with live surgery training in Hanoi, Vietnam. Dr. Angela Lee has also taken advanced Orthodontic training including, Invisalign Training: Preferred Provider completed Clear Essential I and Clear Essential II, and a 2 year training at Progressive Orthodontic Institute with Dr. McGann. Lee Dental and Facial has a multi-disciplinary approach to meet each patient’s unique dental needs to forge a shared vision for the results they wish to achieve. Dr. Lee combines the most up to date technologies such as the Biolase – Waterlase iPlus with a complete digital radiography system from Sirona. The mission of Lee Dental and Facial is to help you feel and look your best through any avenue of dental care you desire affordably. You’ll benefit from Lee Dental and Facial’s commitment to continuing education, their state-of-the-art facility and equipment, and their high level of dental care. Experience everything from a simple cleaning to exquisite veneers in conjunction with a smile face lift with Botox and Juvederm. Dr. Lee wants to give you the smile you’ve always desired and a lifetime of continuing care. Learn more about this Minimally Invasive Procedure. In our office, patient safety is our top priority. We now carry the Isolite3, to ensure our patients' safety in our office. Lee Dental & Facial proudly uses Waterlase and is one of the few practices in the Manhattan area featuring Waterlase Express! Dr. Angela Lee and the Lee Dental & Facial staff are dedicated to improving your quality of oral health. We provide specialized and comprehensive dental care in a friendly and safe environment with a focus on prevention and education for families. 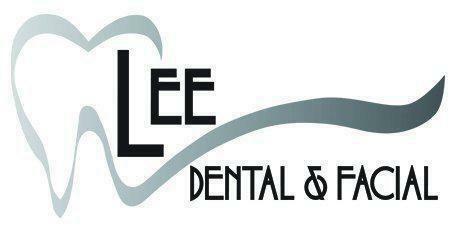 Dr. Lee offers specialty services using today's latest technology including: Biolase® laser treatment and Invisalign®. You can quickly and conveniently access patient forms right from our website. Before your appointment, just download and complete the necessary forms and bring them with you to the office. If you're unsure of which forms you need to complete or have questions, please call us and we'll be happy to assist you. It's an affordable, non-invasive- and completely reversible, cosmetic, removable arch that can easily and painlessly give you a beautiful smile. We accept most major insurance plans, including the ones listed here. Financing is also available through Care Credit. Please contact our office if you do not see your insurance provider listed or if you have questions about coverage or financing.